It seems as if spring is right around the corner. Are you ready for it? We have the right equipment to make your spring clean up easier. We have mowers, blowers, and trimmers all in stock and ready to go. We also have the parts to ensure your machines are running in tip top condition. If you are a homeowner looking for a new chain saw, lawnmower, or hedge trimmer, our highly-skilled personnel will do everything possible to make you a lifelong customer. As always, Caola Equipment is here to help you with do-it-yourself parts and/or complete service of your equipment. Please, let our family take care of yours: come into our showroom at 391 Park Ave. Worcester or feel free to contact us with any questions you may have, or continue to browse the website for further information. 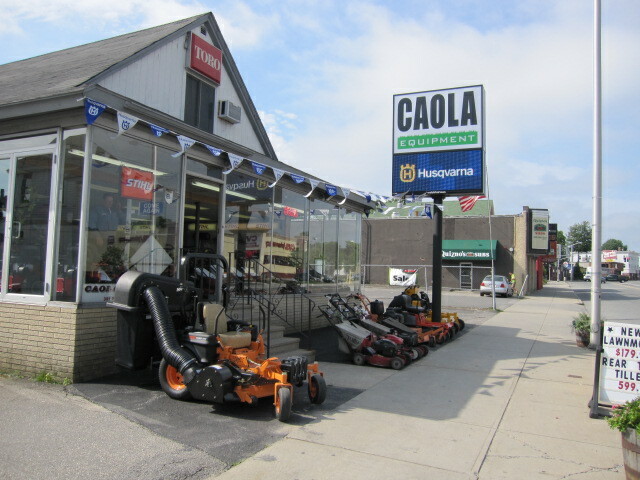 Caola Equipment is proud to be one of Ariens TOP TEN dealers in the country as well as an authorized dealer of Husqvarna, Scag, Stihl, Toro and more. Please CALL us at (508) 753-8102 to arrange for a demo or stop by to see our top quality line of equipment, guaranteed to make your job easier! Click here to learn more about our Off-Season Storage Program!